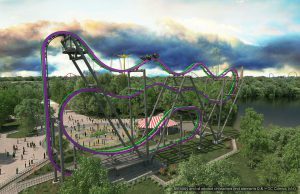 Great Adventure boasts its impressive collection of awesome rides: the wonderful hypercoaster, Nitro, the flying coaster, Superman Ultimate Flight, and the floorless coaster, Bizarro. In 2006, Six Flags Great Adventure unleashed El Toro, a new-age wood coaster that is among the best anywhere. The entire family will surely have a blast with these thrill rides. But the park is more than just an array of thrill rides. In recent years, it has added some extensive themes and built elaborate shows and attractions geared more for families with younger children. The Golden Kingdom that surrounds Kingda Ka, for example, offers a jungle-themed stage show and Balin's Jungleland, a sprawling area packed with rides, an interactive play structure, and a sprayground. Six Flags Wild Safari, which is included in the cost of park admission, offers an impressive drive-through animal habitat. The Hurricane Harbor water park (separate admission) has enough water slides and rides to fill an entire day of fun. Includes both Six Flags Great Adventure and Hurricane Harbor Unlimited admission to Six Flags Great Adventure & Hurricane Harbor Includes park admission to Fright Fest Includes park admission to Holiday in the Park Unlimited admission to ALL Six Flags theme parks Tons of additional SUPERMAN edition benefits. Enjoy Six Flags Great Adventure and Hurricane Harbor all year with our premiere selection of park benefits. All of the regular Season Pass benefits Season Parking for each Gold Pass Holder VIP early entry to Six Flags Great Adventure before other guests Bonus free friend ticket for BATMAN Pass Holders on select day Includes park admission to Fright Fest Includes park admission to Holiday in the Park Tons of additional SUPERMAN edition benefits. 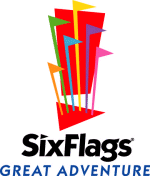 Other Specials & Coupons To view Six Flags Great Adventure Admission Tickets, other Specials and Coupons, go to their special page by clicking here. Six Flags Great Adventure updates this page throughout the year, so check back to see if new specials and coupons have come in. Note to our visitors Six Flags Great Adventure coupons and specials can change without notice. So please visit their official website to make sure of the latest pricing and coupons.